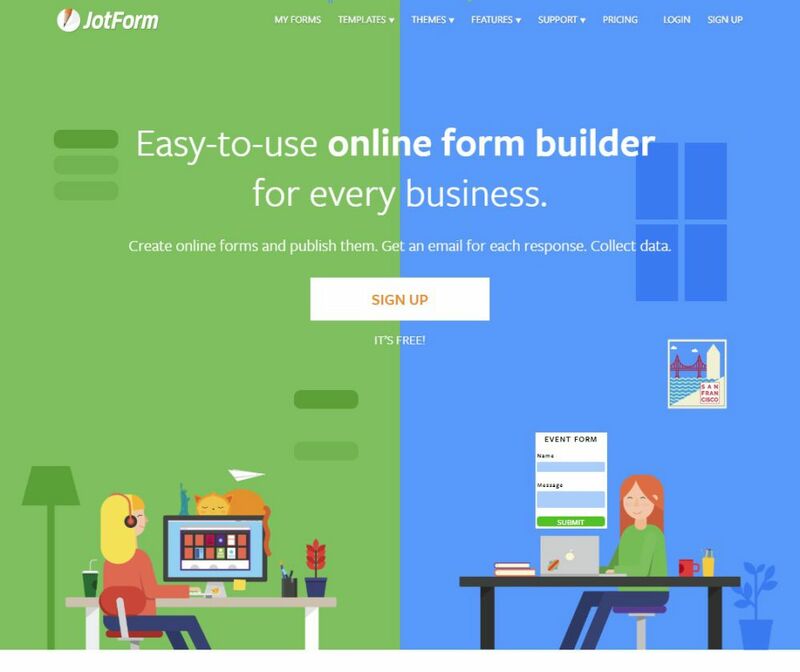 Jot Form is an easy-to-use online form builder. Any business can use it in their operation and take advantage of what it has to offer. By using it, you will be able to create online forms and publish them. Also, you can set it to send you an email when a response is recorded. JotForm is a complete solution where you can start with form building. These forms can be used to do a lot of things including lead generation, customer survey conduction, collecting order payments, and so on. The idea is to offer you with all the customization that will help you achieve your goals. JetForm is HIPPA compliant, and they also offer an enterprise version which works great at enterprise capacity. The forms offer a wide range of support and integration. JotForm is ideal for every business out there. The small to medium scale business can utilize normal JotForm solution whereas there is an enterprise edition for big companies out there. You can connect with them using form submission. You can connect with their support 24/7. There are four main plans offered by JotForm. Gold: $99/mo., 100,000 monthly submissions, 1TB available space, unlimited forms, unlimited monthly forms views, unlimited total submission storage, unlimited reports, HIPAA compliance. All of the above plans can be canceled anytime and offer a 30-day money back guarantee. You need to contact their sales team to get a quote on enterprise version.